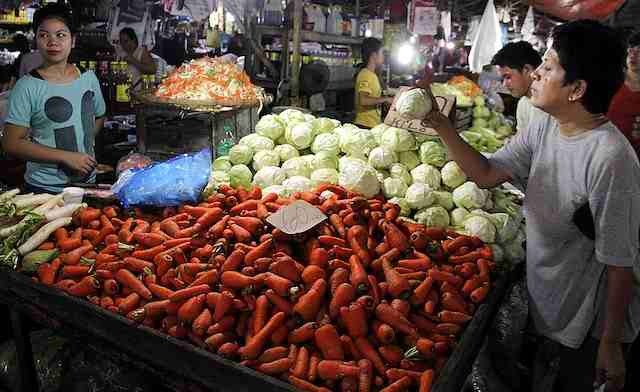 MANILA - Malacañang on Friday expressed confidence that inflation rate will continue to go down for the rest of the year after recent March 2019 figures showed the country registering its lowest inflation rate since January 2018. "We are confident that this slide would continue further for the rest of the year as President Rodrigo Roa Duterte’s signing of Republic Act No. 11203 (Rice tariffication law) last February is expected to further ease inflation," Presidential Spokesperson Salvador Panelo said in a statement. Panelo said economic managers expect rice prices to go down and even cut inflation by 0.5 to 0.7 percentage point this year. "The Administration’s resolve to cushion the impact of inflation has resulted in the downward path of inflation for five straight months," he said. Panelo said the government is preparing for the possible effects of El Niño or prolonged dry spell on the prices of goods. "The government, however, would not be complacent and has been vigilant in keeping a close watch on the prices of goods and commodities with the onslaught of El Niño, which may hamper food production. The Department of Agriculture, for one, has already distributed water pumps and shallow tube wells as part of its pre-El Niño action. We are also ready to conduct cloud seeding, if necessary," he said. Panelo called on Filipinos to conserve water especially during the El Niño season. "The Palace calls on everyone to participate in water preservation not only in agriculture but also in our daily consumption to increase our resiliency against this extreme weather phenomenon," he said.